Beautiful dress! Love the belt too! 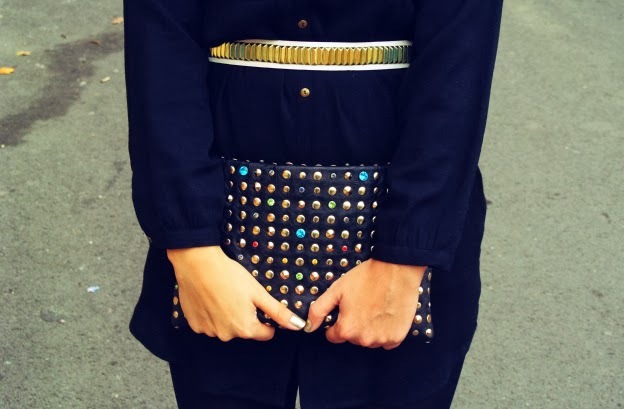 I so love your clutch and belt with this outfit! You look amazing dear! Enjoy your weekend! what a chic, lovely outfit! You look stylish and I also like your hairdo:) Beautiful! Nice as always and I like that clutch. I agree , office dress are just not office wear.. Your belt is so pretty, I love your clutch too. Am una asemanatoare, nu e neagra, dar nici maro, pentru mine greu de definit :) O imbrac doar la incaltamintea fara toc pentru ca nu e suficient de lunga. You are so elegant sweety, love the chic dress and brilliant styling. Why you have to be so gorgeous? Amazing style! Very beautiful and classy. And you are right, this can be worn in so many ways. Very nice look and your boots are amazing! Cute!! I love the belt, too! davvero molto belli e particolari gli stivali (; Reb, xoxo. This simple black really makes you shine! Your hair and face are just gorgeous! Me encantan las botas con calcetines! Love your boot!!!! Yor're so chic. love your clucth, baby! nice pics! I couldn't take my eyes of the clutch and I also like the details on the boots!! !